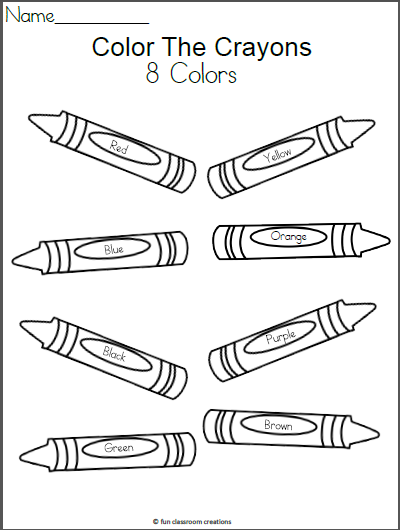 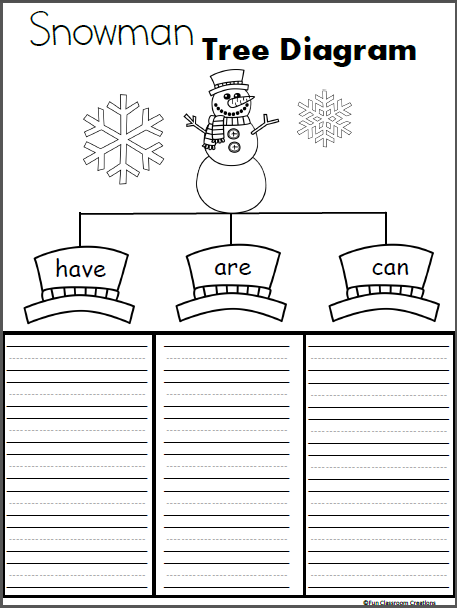 Free Snowman Tree Diagram Worksheet. Use the tree diagram to organize ideas for writing about snowmen. 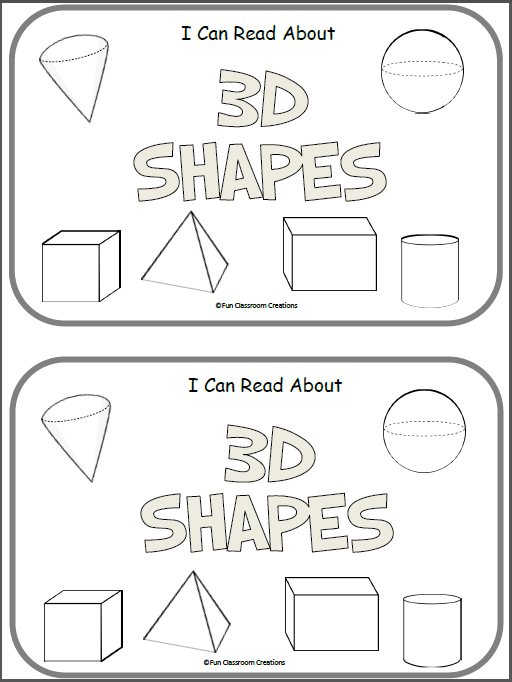 Includes a sample with a completed diagram to help provide ideas for you. 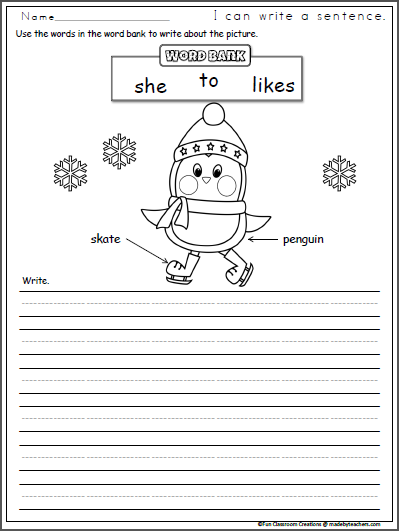 Students can refer to their completed diagram while writing about snowmen.